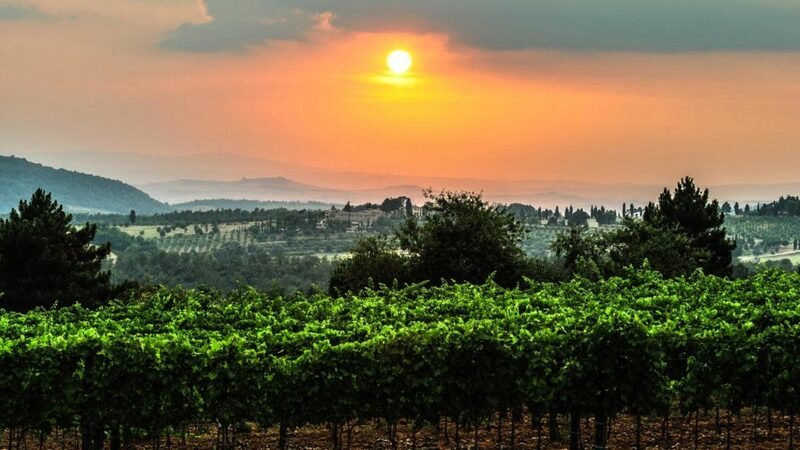 Owning a villa in Tuscany, producing fine wine and fragrant olive oil, is the fantasy of many Americans, but one that rarely comes to fruition. For years, Dr. Robert Buly nurtured such a dream, but once it came true he still had to keep his day job as a renown orthopedic surgeon in New York to fund his expatriate life. A family history of immigration from Europe to the United States forms the basis of Dr. Buly’s interest in Italy and adds depth to his appreciation of the land of which he and his family now have stewardship. Although Bob and his family haven’t moved to Tuscany for good, his heart seems to be in Trequanda. Soon after the turn of the 20th century there was a grand immigration from Eastern Europe to Western Pennsylvania by those in search of work in the thriving steel mills, including Bob’s grandparents traveling from Ukraine for a better life. Their son, Mike (Bob’s father), who had just started to work as a plumber, rushed to enlist when the U.S. entered World War II. He was sent to Italy. Mike Buly was a soldier in the U.S. Fifth Army. Moving north up the Italian peninsula he fought to liberate Italy from the occupying Germans at a time that it was essential to split the attention of the enemy forces as the D-Day landing was being implemented. As the Fifth Army entered Tuscany they took heavy casualties. Many of Mike’s comrades now lay buried in the American Cemetery of Florence. Soon after the the town of Trequanda was liberated in southern Tuscany Mike and a buddy commandeered a motor scooter and took off through the countryside looking for a place to buy a few straw-covered fiascos of the local red wine. Seeing some lights on a hilltop, they droved into the village of Torre a Castello. A local festa di liberazione was taking place with music, dancing, food and, most important to Mike and his friend, a lot of local wine. Fedora Gigli, who lived in a nearby village, was attending the celebration with seven of her female cousins. The two young American soldiers in uniform became the hit of the party. And that was the night Dr. Buly’s parents fell in love. Italy was liberated April 25, 1945, and victory in Europe soon followed on May 8. 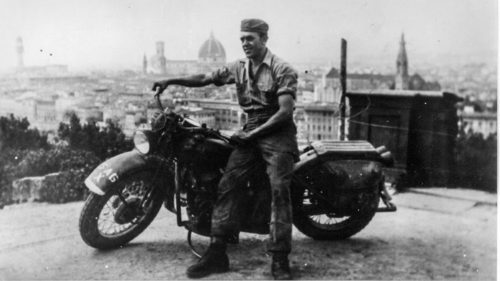 Mike Buly could have chosen to take his well-earned discharge, but he reenlisted once his commanding officer confirmed that he could remain with the U.S. Army in Italy instead of going to the Pacific. He immediately started to jump through the Army’s bureaucratic hoops necessary to marry an Italian citizen, as well as to beg permission from Fedora’s family. Mike and Fedora were married in the village of Serre di Rapolano, just ten miles from where they first met. 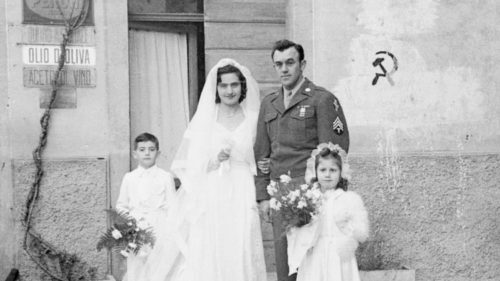 The entire village turned out for the wedding on November 29, 1945. Post-war Italy was in a state of chaos and poverty. Through the black market Mike was able to obtain gasoline for the vehicles, food and wine and even the hard-to-find ingredients for the wedding cake. His sister Stella, who lived on a farm in Pennsylvania, couldn’t attend, but sent Fedora a wedding dress. Fedora’s young cousin Giulio was part of the wedding party (he plays a big part, later). Fedora emigrated with her new husband to his hometown in western Pennsylvania. She and Mike would raise five sons. Robert Buly was the third. When the Buly family finances could afford it, the seven of them would travel to visit Fedora’s extended family. (Remember the seven female cousins? They were only a fraction of the clan, all living near Siena.) Bob and his brothers became fluent in Italian since their mother spoke it at home. 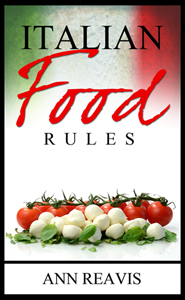 They all loved Italian food and the Tuscan lifestyle. Bob always dreamed of being able to have a place in the Italy that could produce olive oil and wine. In 2006, after years of searching for a suitable place, Bob’s cousin Giulio (the 1945 ring-bearer) learned that Podere Collalto was for sale, approximately 6 miles from his own vineyard and farm, just outside the Tuscan town of Trequanda. Podere means farm and Collalto means high hill. 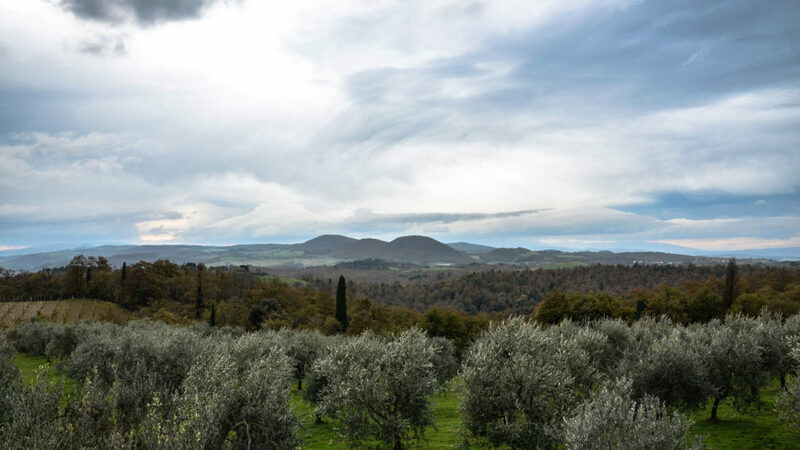 The hilltop farm with its classic expansive Tuscan view had land for a vineyard and already contained over 300 olive trees. 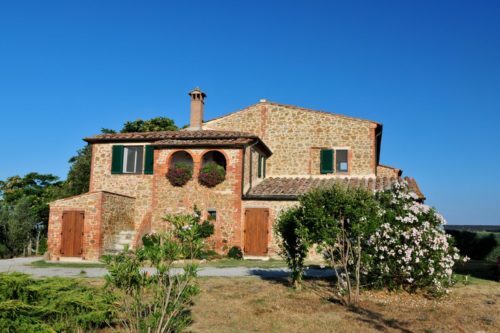 From their large casa colonica (farmhouse), Bob’s family can see the towns of Montalcino (the home of world-famous Brunello) and Montepulciano (the excellent, but less well known, Vino Nobile di Montepulciano). Bob felt that the climate and soil should certainly be conducive to producing an excellent wine. His cousin Giulio felt that U.S.-based Bob was crazy for attempting this endeavor. Giulio has his own vineyard of almost 6 acres and offered to sell a portion of his grape harvest. But, Bob, whose undergraduate degree from Penn State’s college of agriculture was in plant science, felt just buying grapes to make his own wine would not be the same. He wanted to establish his own vineyard. The vineyard was planted in early 2008. The altitude provides a summer breeze which dries out the vineyard after rainstorms and cool nights to allow the grapes to rest. The soil in the region appears to be perfect for olives and grapes, rocky, full of minerals and drainage, and not overly fertile. Bob likes to say that Italians feel that, like people, olive trees and vines do better in the long run if they have to suffer and struggle somewhat as they develop. Bob started with 1.2 acres of Sangiovese, Cabernet and Merlot grapes to create a red blend, known in the U.S. as Super Tuscan. He also planted some white grapes to be used for Vin Santo. In March 2012, he tripled the size of the vineyard and added a Shiraz varietal. The vineyard now produces about 1200 cases per year. Bob Buly called the winery Buli (the Italian version of his Ukrainian name). He named one of his red wines Estate 44, which in Italian is Summer of 44, to honor the soldiers who liberated Trequanda on July 1, 1944. Bob has the help of not only his family, but also an enologist, Massimo Carpini, to employ more scientific techniques rather than the traditional Tuscan methods of his cousin, but harvesting the grapes is still labor-intensive and done in the traditional way. To bulk up his labor force Bob has managed year after year to convinced his American friends, professionals from all walks of life, to come to Tuscany during the vendemmia (harvest) for a few days of backbreaking physical labor, followed each evening by a great meal and a lot of wine from past vintages. Heart warming story. Enjoyed the read which I found while idling around on my smartphone.